Experimental solid surface can be all steel plate, (epoxy, phenolic resins, granite, stainless steel countertops, ceramic and other, alternative), color black, gray and white are available for customers to choose. 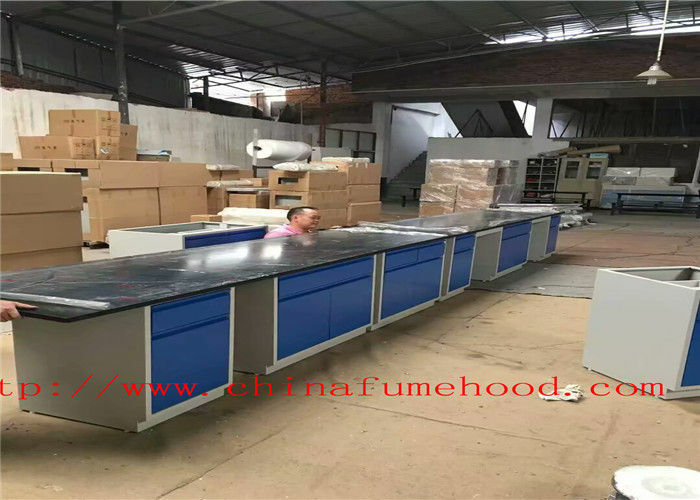 Steel bench cabinets are made of thick domestic 1.0-1.2MM quality cold rolling steel plate, precision CNC punch press punching, CNC press brakes, gas shielded welding, polishing processing technology, such as molding, then after the pickling phosphate processing, chemical rust, acid and alkali resistance, high temperature epoxy electrostatic powder coating on the surface, load-bearing performance, long service life. View, reasonable overall load-bearing, anti-acid corrosion resistance is extremely high. Steel glass reagent racks, columns made of high quality 100MM*60MM*2MM steel rectangular hollow production. Layers panel: 10MM thick tempered plate power configurations: waterproof socket ladder-shaped, five-hole special socket, lighting, power switch socket using laboratory safety products. There is dust-proof, splash-proof, waterproof, acid resistant, alkali and other properties. Cabinet body part hinge, hinge: adopts domestic brand DTC hinge 105 and 175 degrees. Part of rails of the Cabinet: can use three mute Guide, adjustable foot combination anchor, with anti-skid, shock, acid and alkali, the advantages of strong loading capacity is more suitable for use in a lab environment. 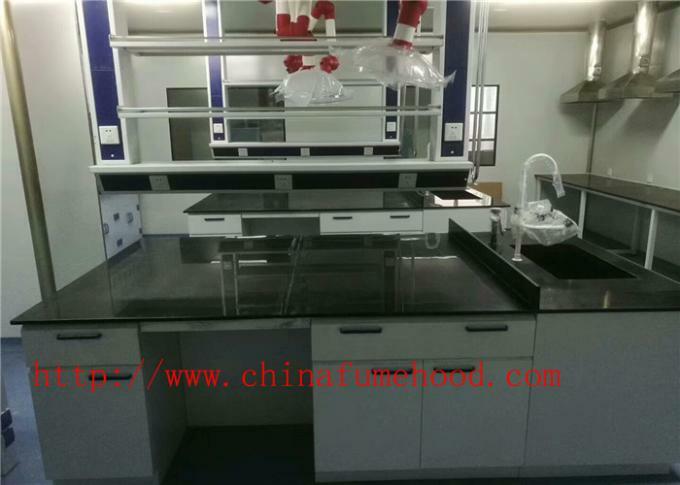 Used in school laboratories, hospital laboratories, testing laboratory, chemical laboratory, food plant laboratory, electroplating factory lab, paint factory laboratory, laboratory water treatment plant and other places. 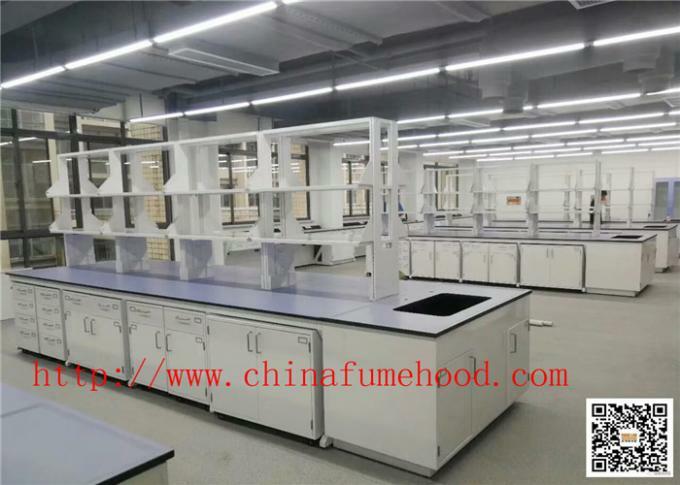 SUCLAB is a integrated laboratory supplier ,can supply you all kinds of laboratory furniture and system ,steel lab table ,stainless steel table ,steel wood lab table ,fume hood ,flammable cabinet ,PP cabinet ,biosafety cabinet .from the design to export , can be one stop service . 1. 18 gauge Cold rolled steel ,surface with laboratory grade powder coating . 2.galvanized steel sheet ,surface with laboratory grade powder coating. Cabinet Frame C frame Steel structure,60 * 40 * 2mm rectangular square steel tube Spraying epoxy resin powder, all the steel parts will be treated to prevent corrosion and chemical effects. The surface will be able to easily clean and sterilize .have not any welding points.with the adjustable leveling feet.